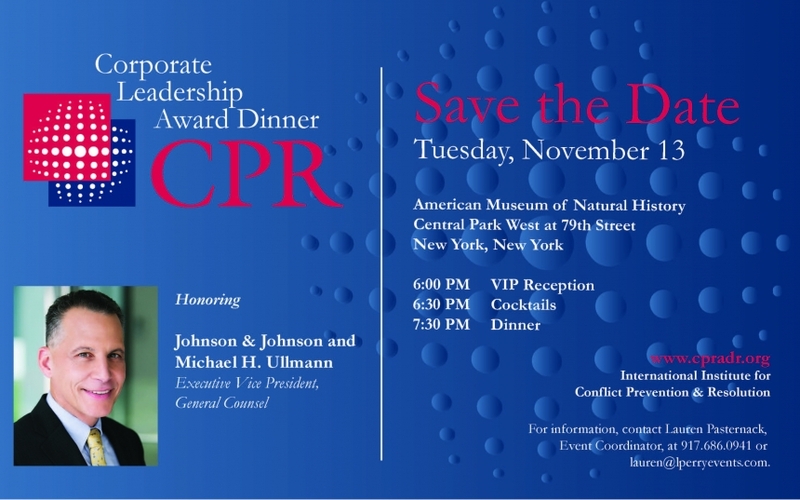 Tuesday, November 13, International Institute for Conflict Prevention & Resolution (“CPR”) Institute hosted their annual Corporate Leadership Award Dinner at the beautiful American Museum of Natural History in New York City. This year’s event honored Johnson & Johnson and their Executive Vice President, General Counsel, Michael H. Ullmann. BSP is proud to have been a Patron Sponsor of this event.